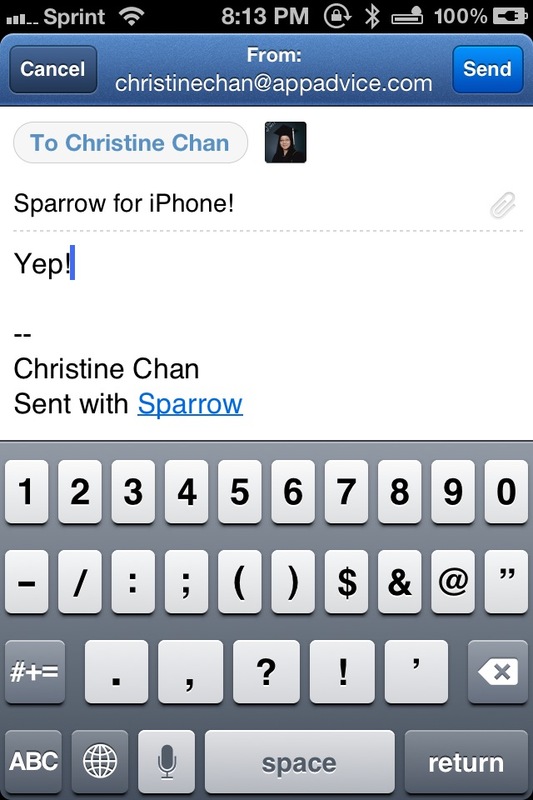 Sparrow ($2.99) by Sparrow is the much-anticipated email app for your iPhone. 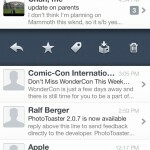 Is it everything you dreamed of in an iPhone email client? 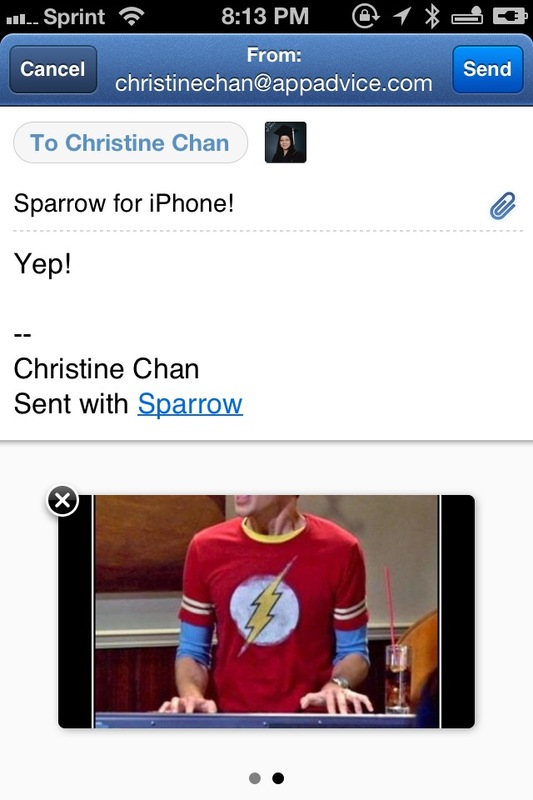 I've been using Sparrow on my Mac since the first beta. 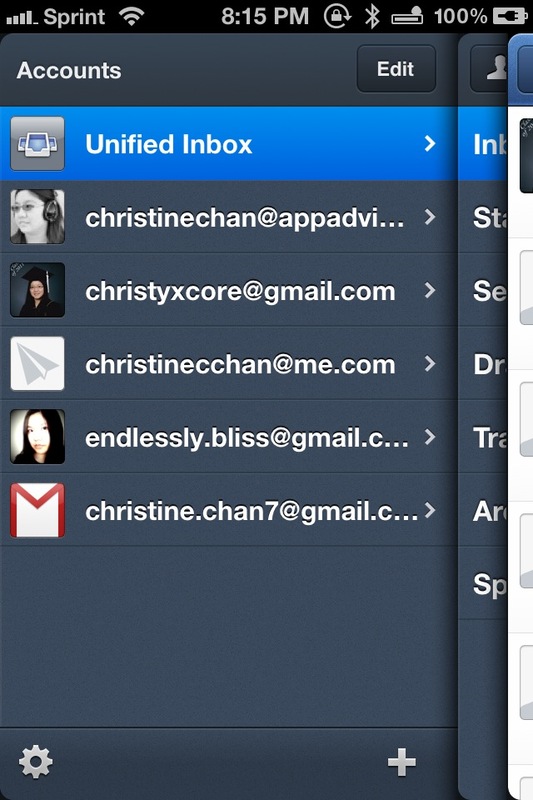 It is my main email client, and I just can't bring myself to go back to Mail on Mac. I love the beautifully designed interface intertwined with simplicity. 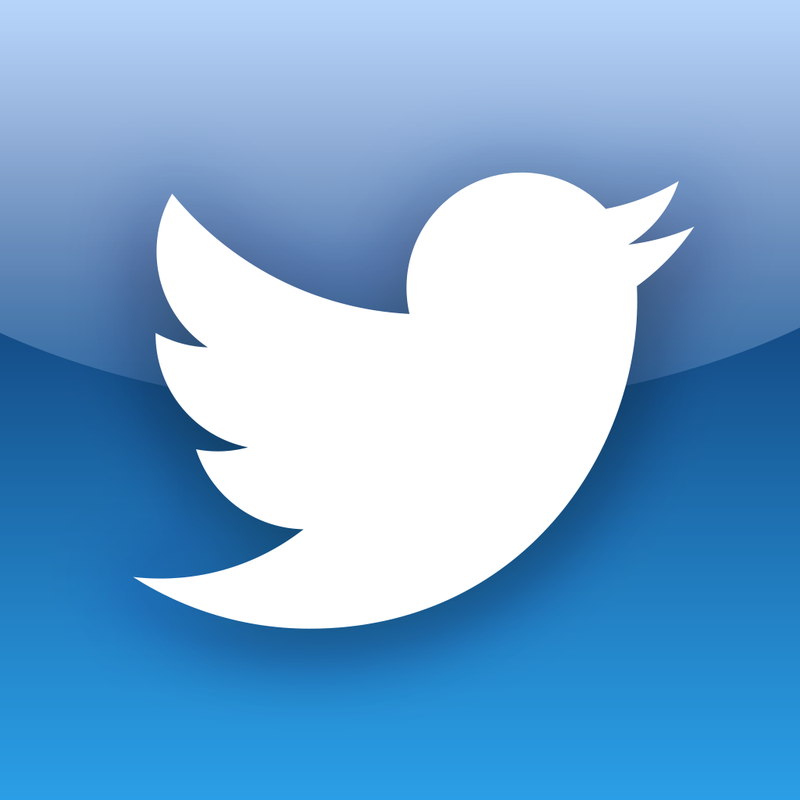 It also has the best elements of what was then known as Tweetie, which I loved. 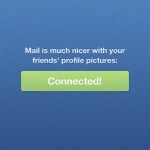 In fact, the app just makes mail not feel so boring. 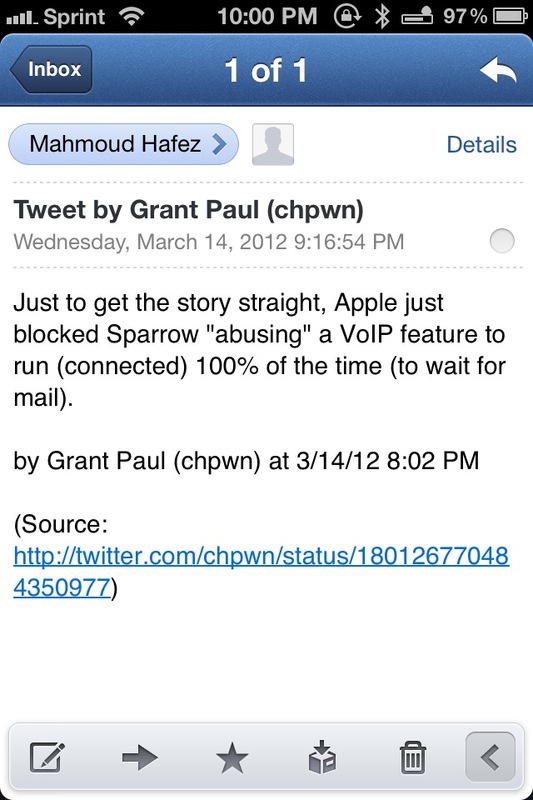 So when I heard that Sparrow was coming for iPhone, I was ecstatic about the release and kept up-to-date throughout the development. 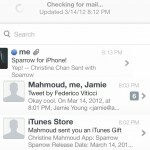 Sparrow for iPhone fully supports IMAP email accounts (POP is not supported yet). 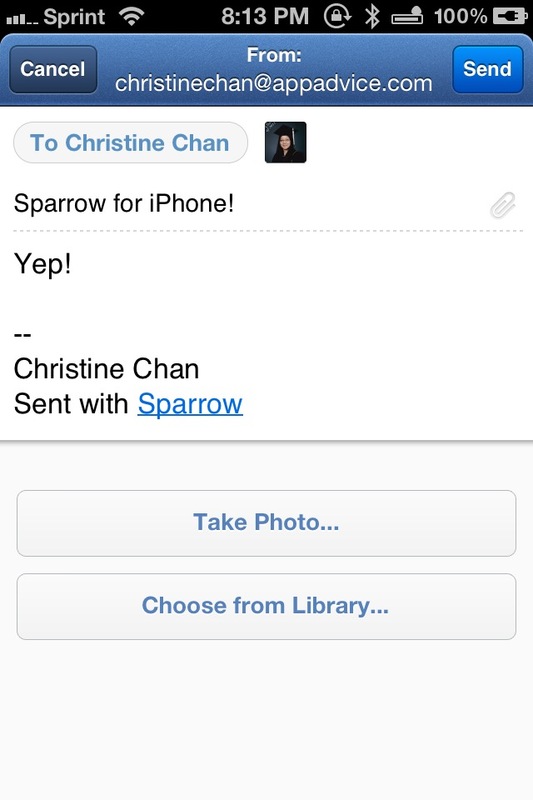 This means that you can use your Gmail, Google Apps, iCloud, Yahoo, AOL, Mobile Me, and even custom IMAP email accounts with Sparrow. 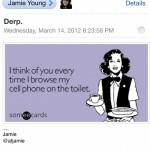 Seeing as how this covers most email accounts, you should be fine. 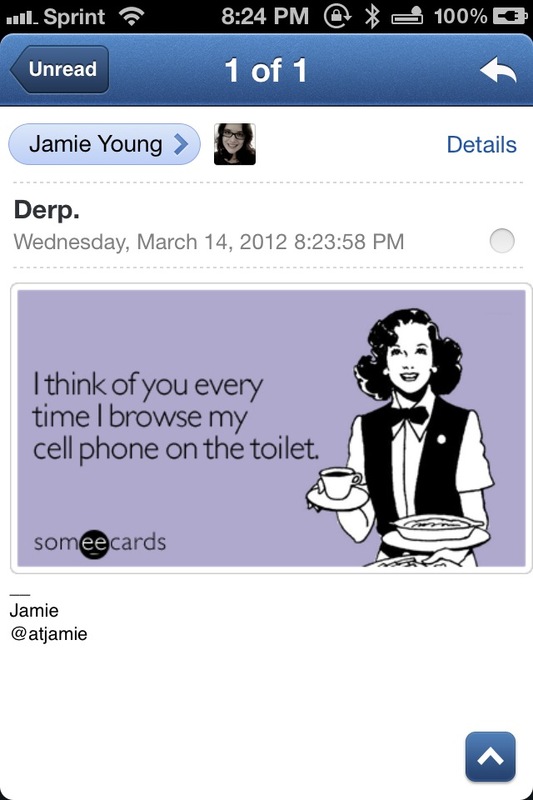 Unless you use something like Google Exchange. 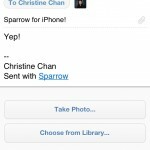 I highly recommend linking up your Facebook account (if you have one) with Sparrow, because it will retrieve profile photos for your contacts. I have it enabled on the desktop version as well, and I must admit that being able to put a picture to every name really does make all the difference. 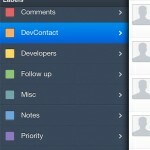 With the iPhone app, the design still retains most of the elements from the desktop version. 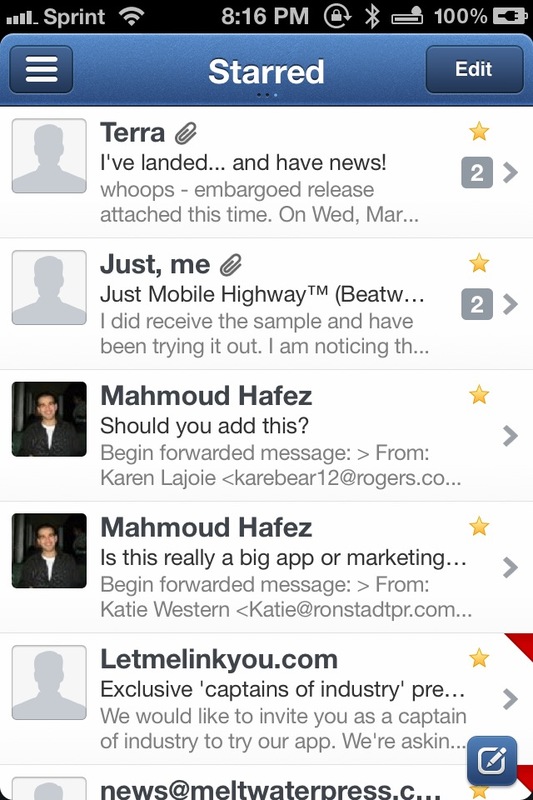 You still have the Tweetie-like sidebars, although because of the limited space estate on the iPhone, it’s divided into three panels: Accounts, Folders/Labels, and Messages. 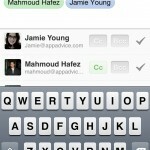 You can navigate between them via buttons, or with intuitive swipe gestures. 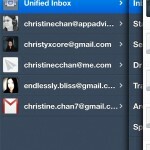 The Accounts view allows you to check individual accounts, or you can go for the Unified Inbox. 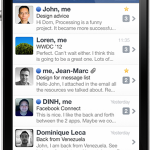 Just like the regular mail app, you will be able to see a count of how many unread messages you have in each. 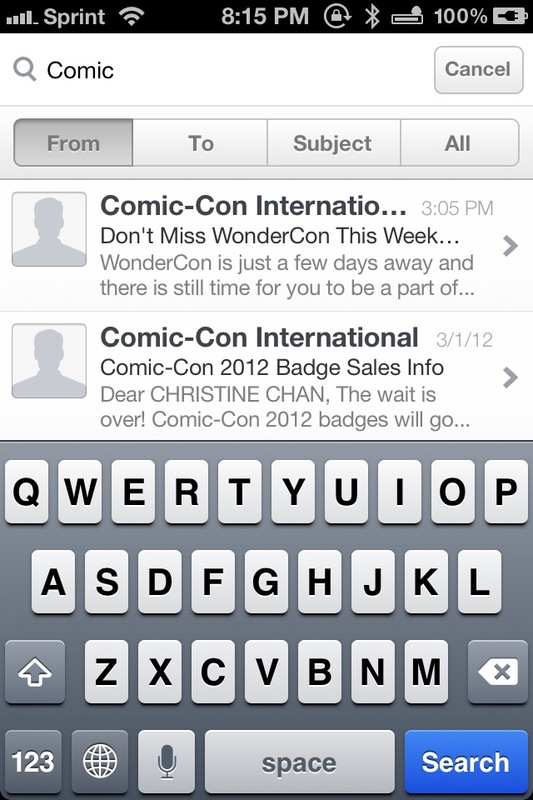 A simple tap on an account will take you directly to the Inbox, though you can swipe left-to-right to access your folders and labels. Ever have a moment when you need to search through your mail? I know I do – fortunately, just like the Mac app, you can search through all of your messages at the top of the messages screen, and filter by From, To, Subject, or All. 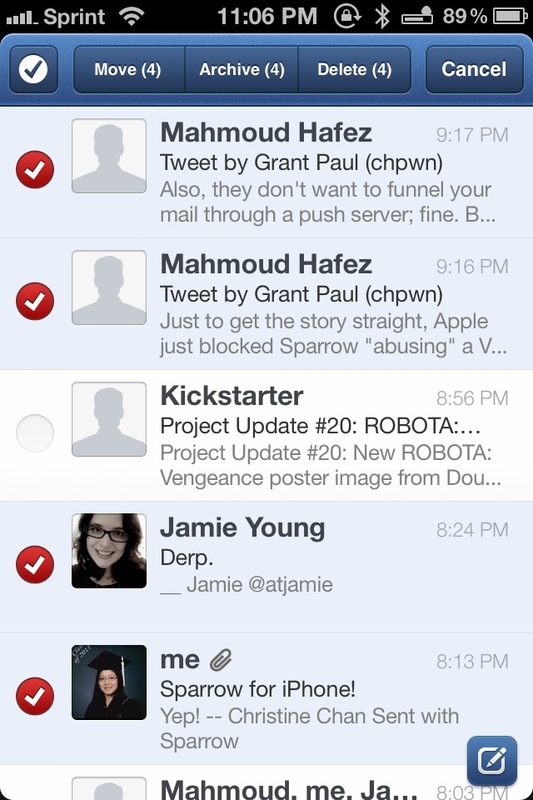 You can even pull-to-refresh to check for any new messages, something that I wish the native Mail app had (it’s kind of amazing that Apple has yet to implement it). 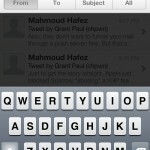 A message can be swiped on (from right-to-left) to reveal a contextual menu, similar to the Quick Swipe from the official Twitter app. 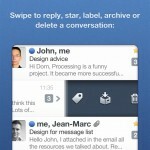 With this menu, you can quickly reply to a message, star it, label it, archive or delete it. It's a quick way to do something with a message without actually opening it. 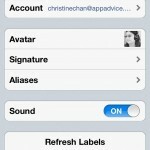 You can also batch move, archive, and delete, which can really come in handy. 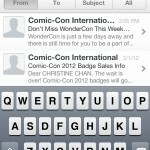 Of course, there will be times when you have to read a message. 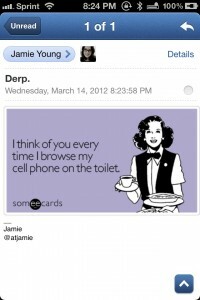 Just tap on it to view it, and you will get a beautiful format for viewing individual messages. The From information is revealed, but you can always tap on Details to reveal more information. 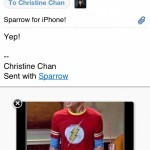 Sparrow presents HTML and plain text emails just fine, so nothing changes there. 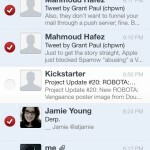 You can quickly mark the message as unread by tapping the empty circle, reply, or use the bottom menu bar for more options. 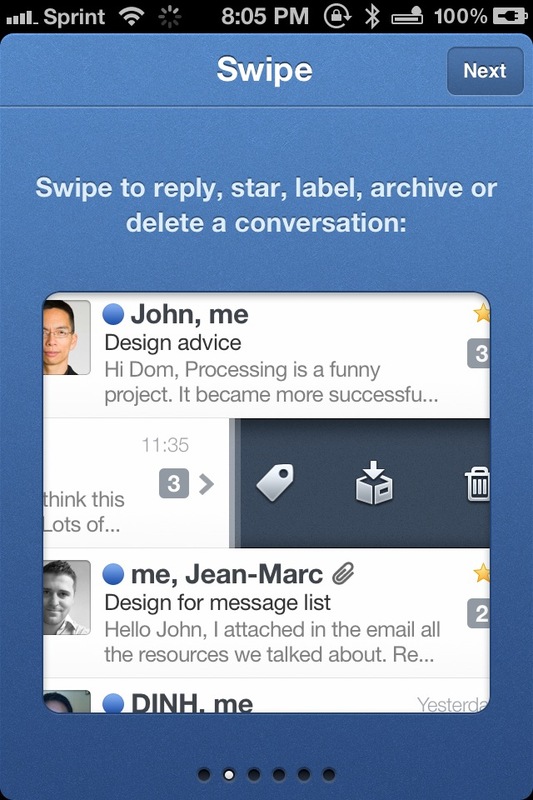 If it’s part of a thread, swiping up and down on the screen allows you to quickly navigate between each threaded message, offering much more convenience than the default Mail app ever did. 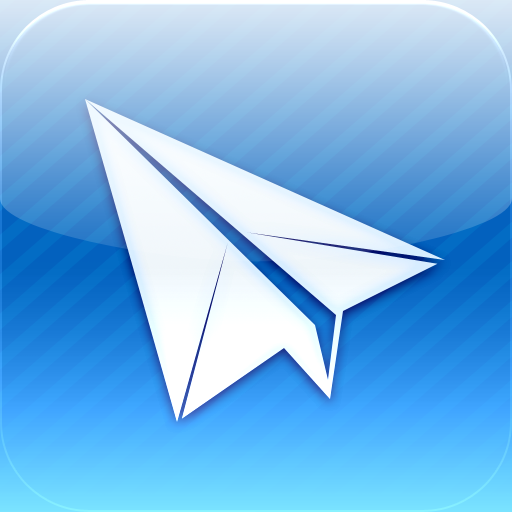 Composing messages is quite a different experience than with the normal Mail app, thanks to the two-step composer feature. 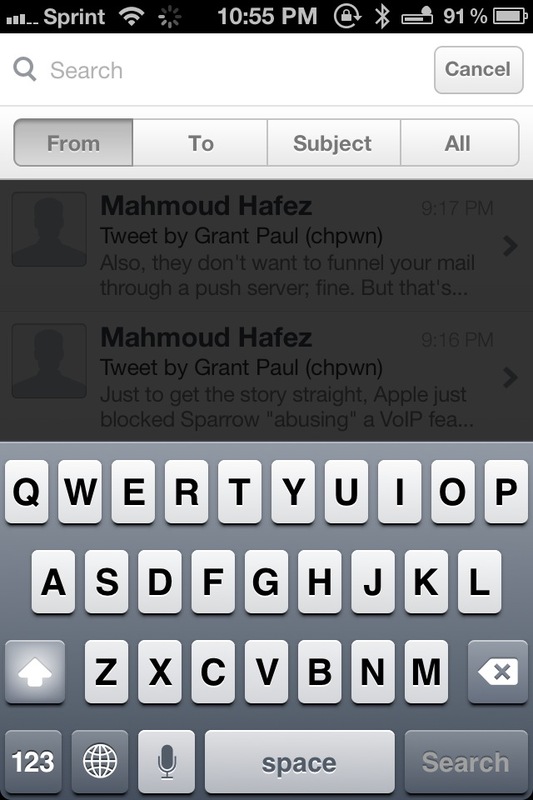 When composing a message, you’ll first see the “Send to:” screen, where you pick who you want to send the message to. 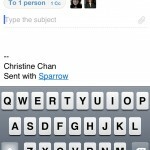 Sparrow features the Smart Contact list, which will show your most frequently contacted people at the top of the list. 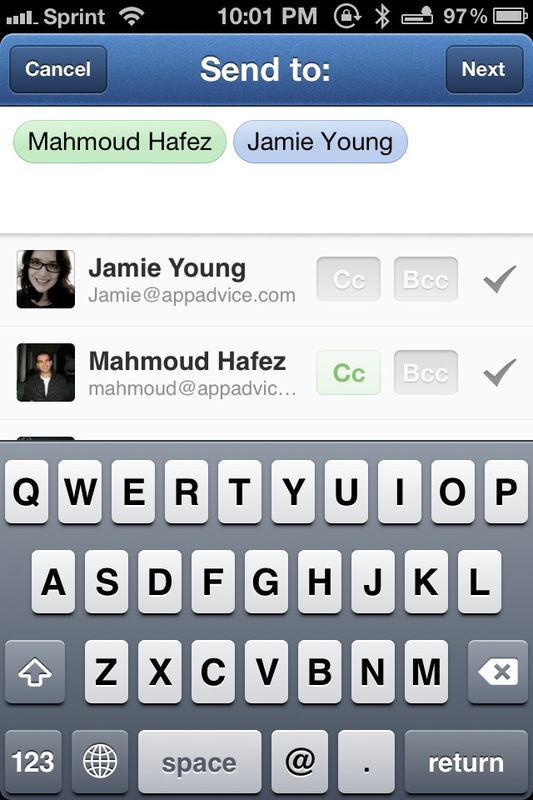 Each name will show a Cc or Bcc button, which you just tap on to add that person to the designated field. 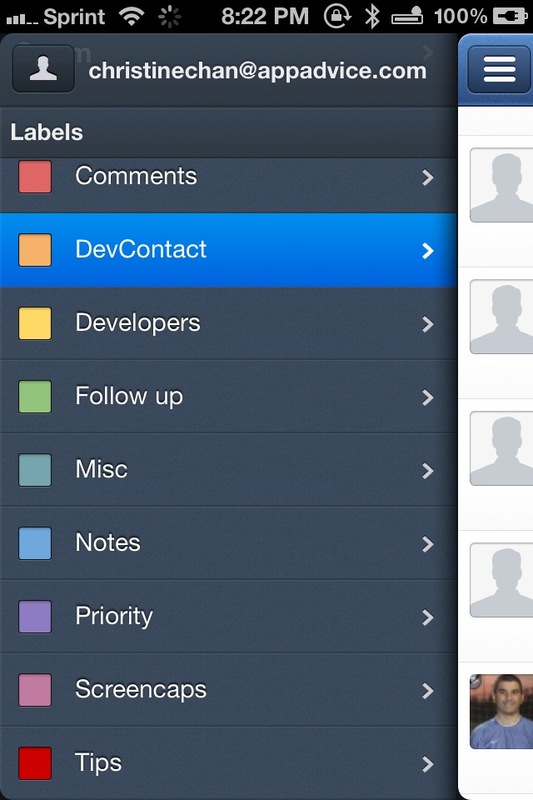 The best part is that each is color coded – normal recipients are blue, CCs are green, and BCCs are orange. 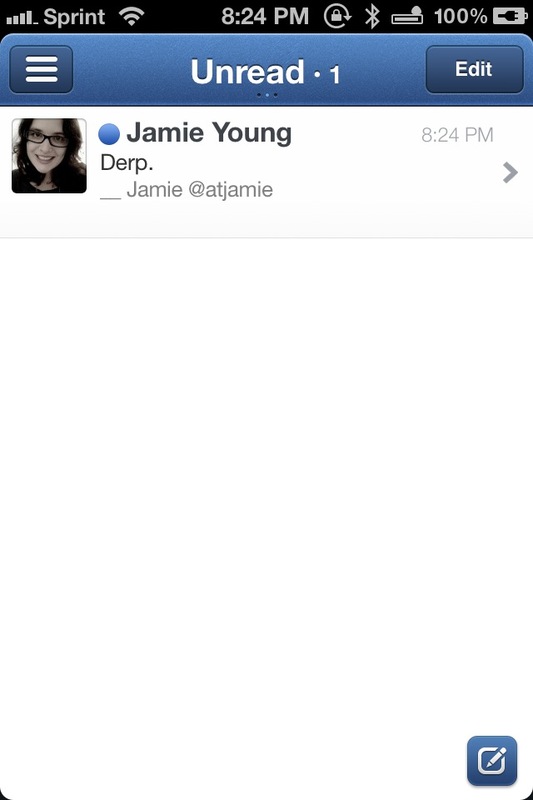 This is much more elegant than Apple’s way, and it’s much easier to identify the people you’re sending to. 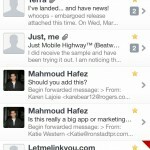 The actual compose area is pretty much what you would expect from a mail app, with the subject and message body. 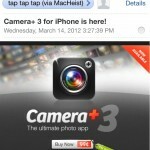 If you wish to attach a photo (either imported or just snap a new one), you can do so by tapping the paperclip icon in the subject line. 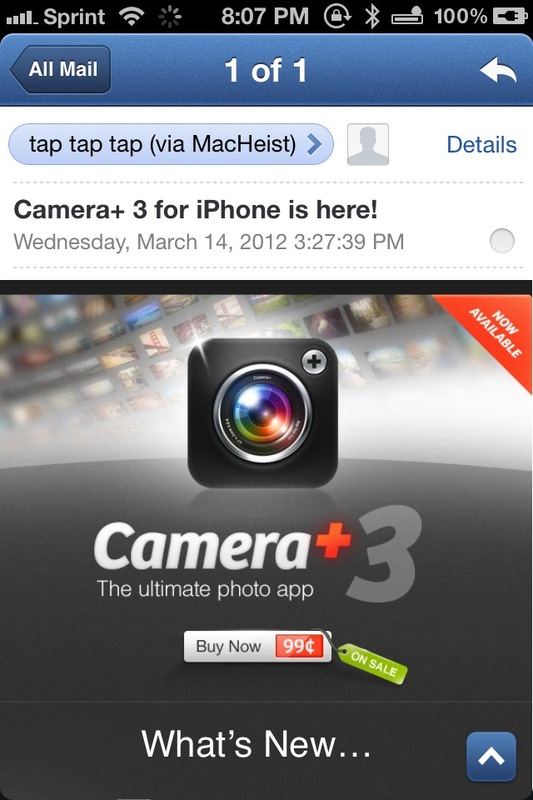 Thumbnails will appear in that area once attached; swipe back to the beginning to add more. 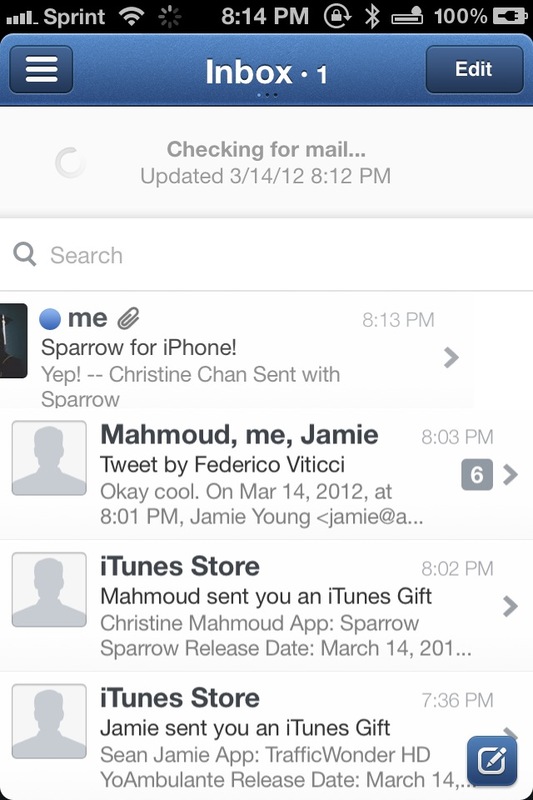 When you send a message, you’ll be able to see the progress at the bottom of the screen, just as you would in the default Mail app (and even desktop version of Sparrow). It all just feels natural to me. I’m absolutely loving the animations when navigating through the app. The design and experience also feel perfect to me, though of course I can be a bit biased since it’s my default mail client on my Mac. 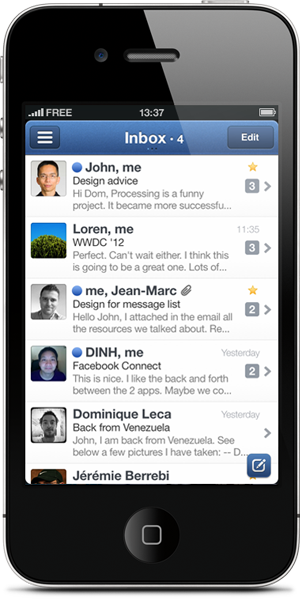 It’s clear that the developers and designers behind Sparrow put a lot of effort into creating the app with the perfect amount of polish, and it really shines. 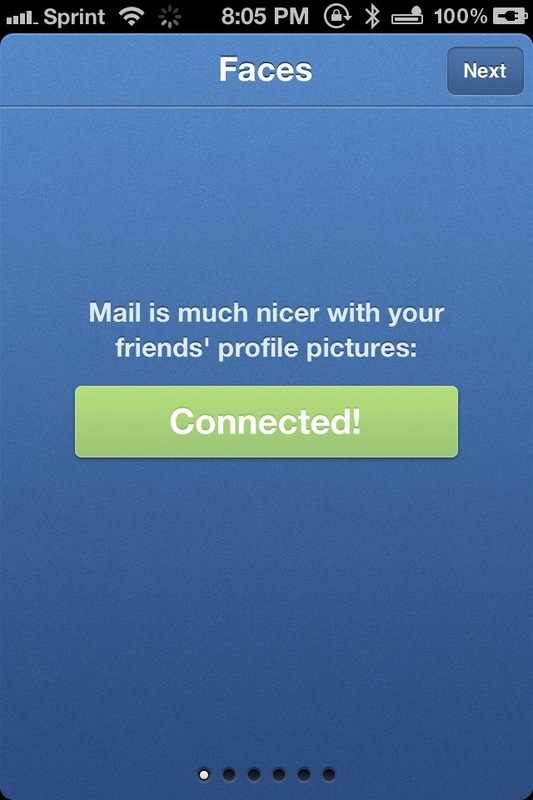 However, I noticed that you can’t swipe back to the messages list while you’re viewing a message – not sure why this is the case, but it feels inconsistent with the rest of the app. It’s just a small nitpick of mine that could hopefully be addressed in the future with the developers. Oh, and it seems that the app is only usable in portrait mode, but I would imagine that landscape support is in the future. 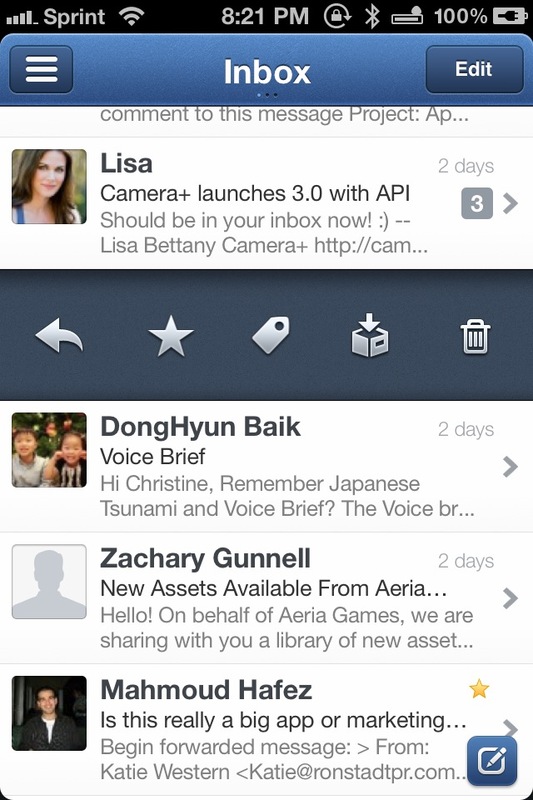 Now, the biggest complaint will be that there is no push or local notifications in Sparrow for iPhone. 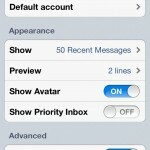 While the beta versions seem to have included notifications, it did not make it into the public release. 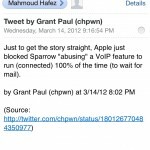 The reason behind this is because Sparrow was "abusing" a VOIP-only API to be continuously running in the background. 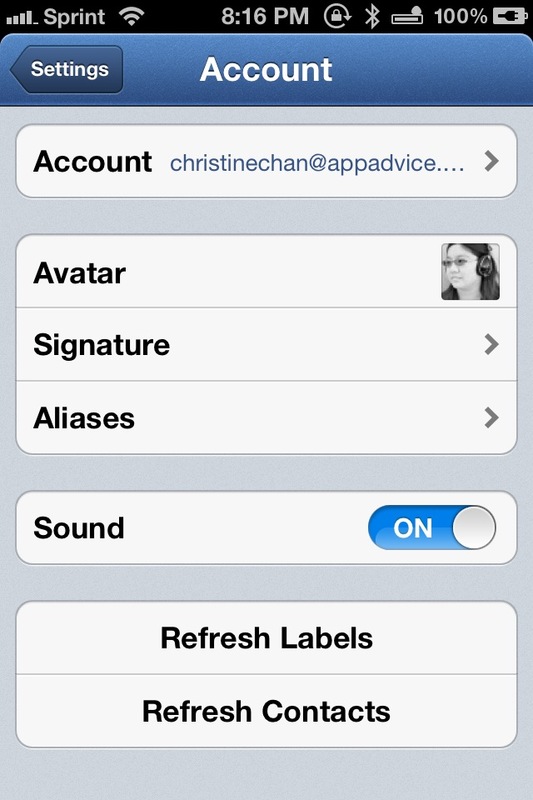 Apple did not allow this, so they had to resubmit the app sans local notifications. Also, the developers don't really want to channel your mail through a push server, since they would be liable for security of your information. 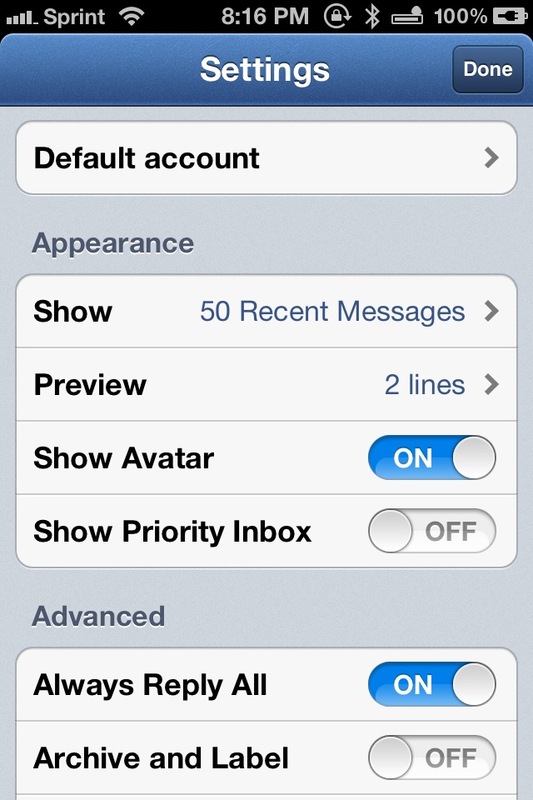 However, if you really want notifications, you could always help them convince Apple to change their mind. 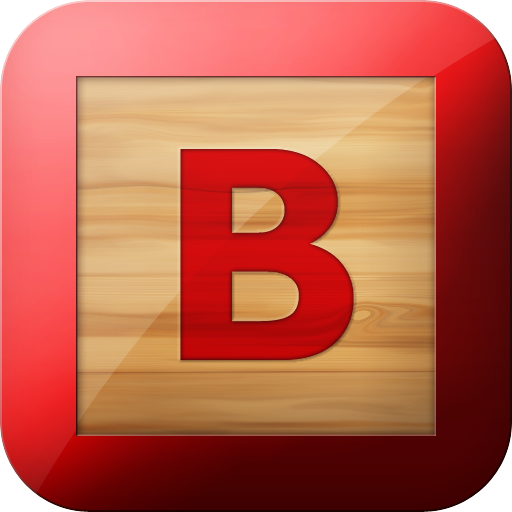 Regardless of push notifications or not (there are other workarounds to this, such as Boxcar), I am officially going to drop Apple's Mail client just like I did on my MacBook Pro. 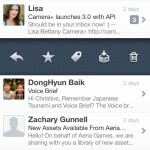 Sparrow has a great design and interface, and it improves the email experience on my iPhone greatly. 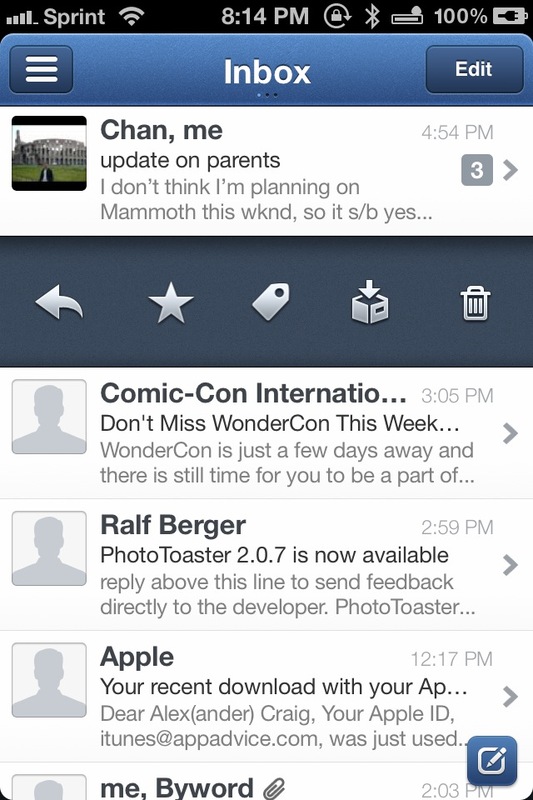 It is pretty much everything I've been waiting for (excluding push notifications), and I couldn't be happier. 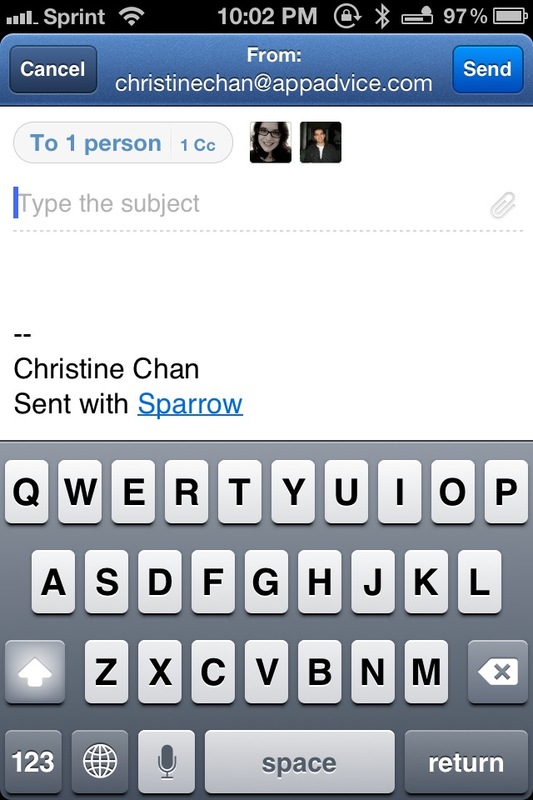 On another note, please keep in mind that Sparrow is not a universal app. Why they decided to not make a universal or iPad app is beyond me, but hopefully they’ll be working on that soon, especially since I’d imagine the app would look amazing on a third generation iPad. 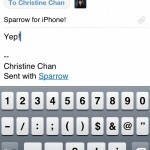 Let us know: will Sparrow be replacing Mail on iPhone for you?